The perfect handbook for anyone interested in a perspective on the history and progression of art, across the world and over 10,000 years – by the wonderful team at Phaidon Press. N.b., for the best part of this summary, check out the 8,250 FREE downloadable flashcards I made from this book at the end of the post! You can find great books in the strangest of places. Maybe stuffed in an airplane seat pocket or abandoned at the doorstep of a side-street café. Maybe nosing around the shelves at your friend’s homes and occasionally at a WeWork event on Digital Marketing in Tel Aviv that takes you 45 minutes on a busy rush-hour bus to get to only to discover that it’s being held totally in Hebrew (and not in English, as advertised). Though I briefly considered stealing this one from said WeWork (as retribution for my sweaty and futile pilgrimage), I decided to graciously shelve my blood-feud with the apologetic receptionist, buy my own hardcopy (no digital versions to be found, legitimate or otherwise) and spend the last month burrowing deeply through its glorious pages. What did I get for my efforts? 500 works of art from over 80 ancient and modern civilizations PLUS a fascinating 230-word glossary: everything from Neo-Impressionism and the Hudson River School to overviews of Nasca culture and the intricacies of cloisonné enamel and the lost-wax method. Of course it’s not perfect: it focusses almost exclusively on painting and sculpture (plus a handful of textiles and prints); almost half the works come from the last 500 years; over 70% are held in the collections of only 10 countries; and only 3 works in the whole book are by female artists. But I’m splitting hairs, because the quality of images and commentaries for each work are marvellous; the long-tail catalogue is phenomenal, including 13 works held in private collections and the rest by some 60 countries (and many more museums); and, what’s more, it’s available on Amazon in a beautifully presented format that could easily fit into a handbag or large jacket pocket – all for less than a cup of coffee. I had insights aplenty during my time with this book but to avoid turning this crunch into a small book of its own I’ll be sharing those in a series of articles over the coming months. For now, you can use the form below to send yourself the 8,250 Anki flashcards I created from the book’s 500 works and 230 glossary terms. 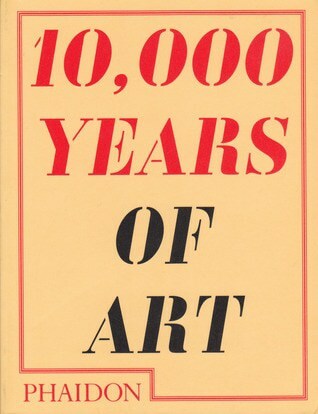 P.s., If you love the idea of this book then you might also like Phaidon’s “30,000 Years of Art” (same-same but with 1,000 works and more commentary) or their much larger “The Art Museum” – a stunning coffee-table collection of over 3,000 works that is high up on my list of things to memorize in the future.